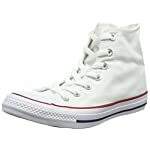 New Unisex Chuck Taylor All Star Classic Hi-Tops Canvas Upper Which Has The Original Chuck Taylor Patch On The Inside Wall Of The Boot. 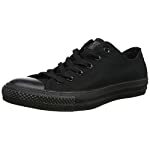 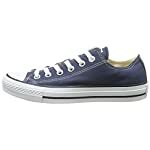 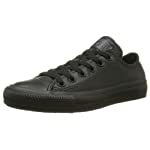 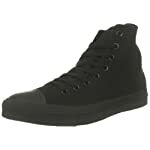 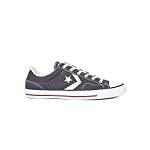 Mens/Womens Genuine Leather Upper, Lace Tie Fastening, Classic Design Converse All Stars Pumps With Classic Branding Detail And Flexible And Durable Rubber Sole Unit. 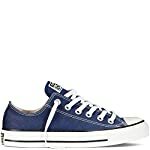 NO MORE SLIDE – Proven by many buyers already on verified reviews – workout, golf, aerobic, even sometimes when off shoes by unique technology of pro mountain (3d stitch, silicone grip, double y stitch) : if slide we will send you replacement or full refund. 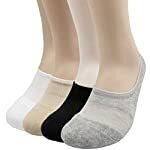 NO MORE PAPER-THIN SNEAKERS SOCKS – Toe and Ball cushion absorbs sweat from toe (which create most sweat), proper protection applied for your jogging, light running, and your pedicure.